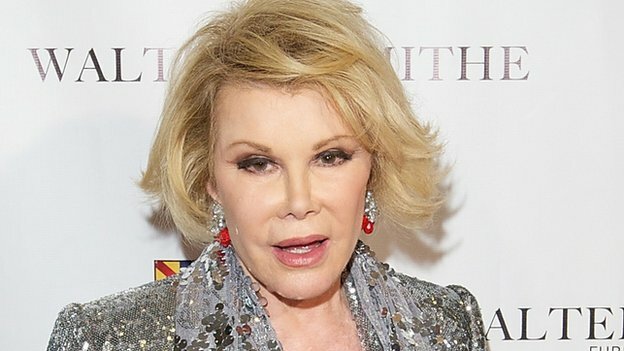 Comedian and TV host Joan Rivers has died, her daughter has said. Rivers, 81, had been on life support in Mount Sinai Hospital since having a cardiac arrest in New York last week. In a statement, her daughter Melissa said she died surrounded by family and friends, and she thanked hospital staff for their "amazing care". The comedian stopped breathing during a procedure on her vocal chords at an outpatient clinic last Thursday. "My mother's greatest joy in life was to make people laugh," said Melissa Rivers.